The main objective of this class is for students to get a complete experience in literature, writing, research and public speaking based on the Ohio Learning Standards for ELA. Students will work together and individually to gain a better understanding of the different types of literature. In addition, students will be writing essays (both formal and personal), creating class presentations and other projects, reviewing grammar and punctuation rules, and increasing their vocabulary. Honors English III is a course designed to help students prepare for college through a heavy emphasis on reading, writing, literary analysis and research based on the Ohio Learning Standards for ELA. With the use of iPads, students will also become proficient in learning 21st century technology skills and in using iPads for educational purposes. Because of the strong focus on reading and writing skills within the curriculum, students must have a B average in English and the recommendation of homeschool counselor. This course focuses on the twelfth grade Ohio Learning Standards for ELA, using them to promote student literacy and critical thinking. This class focuses on literacy in the traditional sense of reading a variety of texts across genres, while still focusing on new and emerging sources and media. In addition, there is an emphasis on writing in all of its forms, refining voice by producing everything from research papers to poems and short stories, with special focus placed on the grammar and usage conventions of these forms. This course is designed to make student college and career ready through the use of reading, writing, listening, and speaking. Students will read different genres of literature and write about and/or respond to what has been read. Students will also listen and learn speech through class lectures and/or discussion and view course related videos and/or presentations. The Ohio Learning Standards for ELA will be covered in this class. Seniors who did not have Honors III will be expected to have earned the minimum five combined points in English end-of-course state tests before being admitted into Honors English IV. This course is designed to introduce students to writers and works in relation to the diversity of American culture, politics, lifestyles, and social movements. The aim of this course is to help students see that American literature represents American culture in all of its diverse forms, including class, race, and ethnicity. Upon successful completion, students will be able to discuss a wide-ranging body of knowledge about cultural difference through multiple American literary genres, learn tools, strategies, and skills to interpret literary texts, and assess cultural conflicts among minority and majority cultures in the United States by analyzing values, priorities, expectations, more, and rules. An equally important goal is to have fun with the readings, to allow students to enjoy reading. College Writing I (English 11011) is the required first writing course for the majority of students who attend a college or university. The course is designed to prepare students for the writing they will do at the university and in their professional lives. Students will gain increased confidence and develop complementary writing and critical thinking skills necessary to succeed at a university and in life. Other goals include learning the difference between paraphrasing and critical analysis; narrowing a topic and creating a thesis and argument; organizing information and weighing evidence; correcting grammar and usage through the use of handbooks and editing; and integrating and citing outside sources within a research paper. College Writing II, (English 21011) is described in the Kent State University Department of English A Guide to College Writing I and II as a course that “provides a continuation of college-level writing instruction and experiences, with emphasis on research and inquiry, culminating in a lengthy written and/or multimodal project.” This course is designed to build upon what students learned in Writing I, as well as advance students’ skills in research analysis. Students enrolled in this course will write approximately 20 pages of formal writing, as well as a number of informal writings. The culminating assignment of the semester is a 12-page research paper that explores a current issue in the student’s field of study. *Prerequisite: Completion of KSU Writing I 11011 OR YSU Composition 1550 with a C or better. Students will continue to study many of the algebraic concepts and processes covered in Algebra 1 and Geometry. Critical thinking and problem solving skills will be reinforced, as students expand on the material covered in previous courses. Topics covered in this course will include properties of and operations with real and complex numbers, linear and nonlinear equations and inequalities, polynomials, rational expressions, functions, conic sections, logarithmic functions and trigonometric functions. After successful completion of Algebra 2, students will be prepared for Pre-Calculus or College-Prep Math (based on teacher recommendation). This course is modeled after the traditional Algebra 2 pathway found in the Ohio Learning Standards for Math. Students need strong pre-requisite skills in algebra and trigonometry. Students will learn about limits and continuity, derivatives, applications of derivatives, and definite integrals. The course will be modeled after Youngstown State University’s Calculus 1 course (1571). Students meeting certain eligibility requirements will have the opportunity to receive dual credit from YSU. Students successfully completing this course will be prepared for a more in-depth mathematical study at the college level. Calculus is offered as a College Credit Plus course. If students meet the YSU criteria to apply, including the required ACT score, they will receive transferable YSU credit. This is a project-based course including, but not limited to, statistics, probability, discrete math, trigonometry and other advanced math topics. This course is designed to introduce students to some advanced math seen in college level math courses. This course can be taken after successful completion of Algebra 2, Math 3 or Pre-Calculus. This course is designed to give students a basic understanding of elementary geometry concepts that will be utilized in other high school and college mathematics courses. This geometry course will serve to strengthen and sharpen students’ analysis and problem-solving skills. Although elements of geometric theory (postulates, theorems and proofs) will be presented in this course, the focus will be on the application of geometric principles, while utilizing algebraic methods. At the end of the course students will be prepared for either Math 3 or Algebra 2 depending on their success in the course. The course follows the traditional pathway for Geometry in the Ohio Learning Standards for Math. This course is an introduction to statistical thinking and statistical methods. The emphasis is on statistical literacy, conceptual understanding and active learning in the classroom. First semester will contain topics in a high school statistics and probability course such as an in-depth study of probability, data analysis, and statistics including applying the concept of random variables to generate and interpret probability distributions, transforming data to aid in interpretation and prediction, and testing hypotheses using appropriate statistics. The second semester of the course will follow curriculum set forth through Kent State University’s 10041 Introductory Statistics. Students must meet the Prerequisites set by Kent to take the course. This course will expand on many of the concepts from Algebra, Geometry, Statistics, and Probability that were in an Integrated Math 2. In addition, functions, and trigonometry will be addressed. This course will further prepare students for a more rigorous mathematical progression in high school or college and will provide them with a solid foundation for the mathematics that may occur in their career and in everyday life. This course will also develop a student’s problem-solving skills, critical thinking abilities, and strengthen situational analysis abilities. At the end of this course the student will be prepared for Math 4 or College Prep Mathematics (with teacher recommendation). 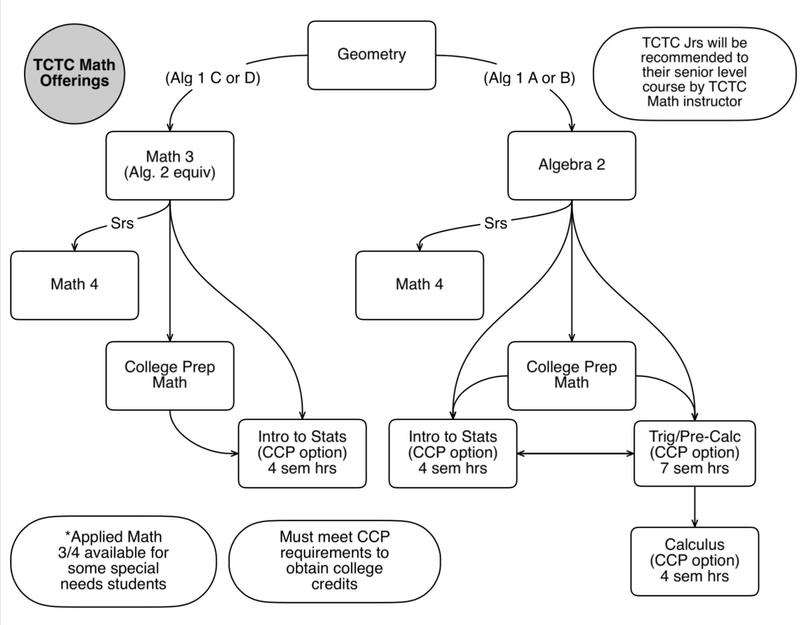 Math 3 follows the Integrated Pathway in the Ohio Learning Standards for Math and is an Algebra 2 equivalent. This course continues and expands upon the topics covered in Math 3. Students will continue to explore topics found in an Algebra 2 and Geometry courses. They will also explore more in-depth trigonometry, probability, data analysis, and modeling. This course will prepare students for college level mathematics topics. This course is designed as a preparation for a course in Calculus. Topics covered in this course will include the nature of graphs, polynomial and rational functions, trigonometric functions, graphs of trigonometric functions, trigonometric identities, exponential and logarithmic functions, sequences and series. At the successful completion of Pre-Calculus students will be ready for college level mathematics, including Calculus 1. The first semester of this course is modeled after YSU’s College Algebra 1510 and second semester YSU’s Trigonometry 1511. 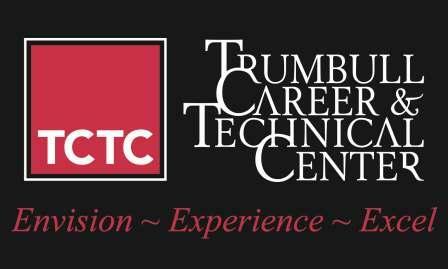 This class is offered for high school credit and as a CCP course. Students who qualify may have the opportunity to obtain credit for YSU 1510 and 1511. Anatomy & Physiology is a college preparatory lab based class recommended for students who would like to gain an understanding of the body’s structure and function. The units covered are the Organization, Support and Movement, Control Systems, and Maintenance of the Human Body. Pre-requisite: Earned a C or better in previous life science course. Meets Advanced Science Requirement. Biology II is a lab based class that engages students in the general principles of life by emphasizing a survey of the kingdoms of life. Pre-Requisite: Passed a life science course (do not need to have taken Biology I) Meets Advanced Science Requirement. Chemistry is a college-preparatory, lab based class which investigates the science of matter and the changes matter undergoes. Topics include atomic structure, kinetic theory, The Periodic Table, chemical bonding, chemical reactions, stoichiometry, solutions and acid –base reactions. This introductory chemistry course heavily emphasizes skill-building in laboratory activities. Pre-Requisite: Completion of Algebra I or equivalent. Meets Advanced Science Requirement. Coordinated Science is an upper division course that extends information learned during previous physical science courses. It connects physical science topics to real life situations and applies it in an authentic lab setting. This course will explore: mechanics, properties of matter, heat, sound and light, electricity and magnetism, atomic and nuclear physics. Pre-Requisite: Passed or enrolled in Algebra 1 or equivalent. Meets Advanced Science Requirement. This course will concentrate on geologic and environmental principles and how they affect the Earth, as well as the expanse of space. Students should be able to understand and utilize the Periodic chart, plate tectonics, green technology, and weather. Pre-Requisite: Course designed for students on an IEP who are no longer to be placed in a self-contained class. Meets Advanced Science Requirement. Physics is a college-preparatory, algebra-based, lab based course designed for the student who wants to master the concepts of motion, energy, electricity, momentum, light, sound, heat, and fluids. Laboratory work will be included to provide reinforcement to classroom instruction. Students should be able to solve problems independently and be able to apply the concepts learned in class to laboratory exercises. Pre-Requisite: Completion of or concurrent enrollment in Algebra II (Trigonometry or Pre-Calculus preferred). Meets Advanced Science Requirement. Zoology is a college-preparatory lab based class that engages students in the general principles of life by emphasizing the animal kingdom, anatomy, physiology, and veterinary terminology. Students will study all the phyla of the Animal Kingdom and mammalian anatomy and learn veterinary terminology. The purpose of this course is to get students to become informed, active, and fiscally responsible citizens, as well as to meet the criteria and core standards in United States Government and Financial Literacy. This is accomplished through discovering, participating, and reflecting upon how the American People govern themselves at the national, state, and local levels of government. This course offers opportunity to analyze and reflect upon the global economy as well as explore the fundamentals that guide individuals and nations as they make choices about how to use limited resources. The course examines the ability of individuals to use knowledge and skills to make informed political and economic decisions. Students will take the required end-of-course exam in American Government.